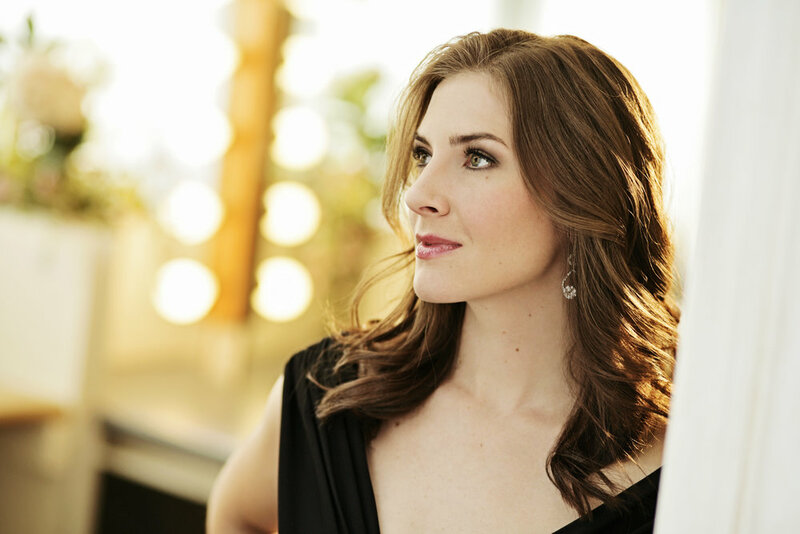 Soprano Kristin Knutson will appear as Ariane in Ariane et Bachus with Haymarket Opera Company in the fall of 2017. This modern day premiere of Marin Marais’ tragédie-lyrique will be performed in the spirit of the Baroque period in Chicago’s Athenaeum Theatre. Of her 2017 debut as Ismaele in Haymarket Opera Company’s production of Agar et Ismaele esiliati, she was acknowleged by John von Rhein of the Chicago Tribune as a singer who “managed her sometimes ornate ariosos with an acute understanding of how Scarlatti combines words and music to create dramatic truth.” Previous 2017 highlights also include a radio performance of Baroque Gems (Haymarket) on Live from WFMT, and her debut with the Belle Ensemble as the soprano soloist in Arvo Pärt’s Stabat Mater, and Heinrich Schütz’s Die sieben Worte Jesu Christi am Kreuz. Ms. Knutson has been privileged to sing a rich variety of music throughout her career. She has appeared as Venus in John Eccles’ The Judgment of Paris, the Shepherdess in John Blow’s Venus and Adonis, Belinda in Dido and Aeneas, Zerlina in Don Giovanni, Gretel in Hansel and Gretel, and Musetta in La Bohème. She appeared in the concert version of Candide with the New York Philharmonic, and made her off-Broadway debut in The Music Teacher, written by Wallace and Allen Shawn. On the concert stage, she has appeared as the soprano soloist in Mozart’s Vesperae Solennes de Dominica with the Master Singers of Milwaukee, excerpts from Vivaldi’s Gloria with the Orchestra of the Redeemer, Mozart’s Exsultate Jubilate through the Civic Music Association of Milwaukee, and in recital at Alice Tully Hall. She recently participated in the Lute Society of America Festival, Early Music Vancouver’s Baroque Vocal Programme, Haymarket’s Summer Opera Course, and performed as a finalist in the 2015 Handel Aria Competition. Ms. Knutson has performed with the Florentine Opera, Aspen Opera Theatre Center, Opera New Jersey, Main Street Opera, Fresco Opera Theatre, the Skylight Music Theatre, the Fireside Theatre, and the New Group. She is a graduate of The Juilliard School. Ms. Knutson has also appeared for two seasons as the featured operatic artist on Holland America’s Showroom at Sea.